BRACE yourself. We’re about to hit peak SUV. While Land Rover and Mercedes-Benz were unveiling new sport utility vehicles at the New York Auto Show last week, Rolls-Royce was testing drivetrains for its so-called “Project Cullinan”, a prototype all-wheel-drive suspension model that will be selling by 2018. Experts say it could cost as much as US$400,000 (RM1.42 million). The Rolls fits right in with the US$200,000 Land Rover Range Rover SV Autobiography. That’s the one with a 550-horsepower, supercharged V8 engine that can hit 100kph in just over five seconds. It’s the one that sets a high bar for the crossover that sister brand Jaguar says it will introduce by 2017. 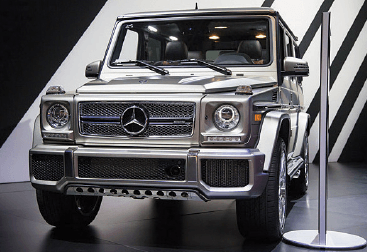 And it fits in with the US$218,000 Mercedes-Benz G65 AMG, which has a hand-built V12 engine that pulls in a whopping 621hp. The G65 AMG is the fourth AMG model to cross the US$200,000 threshold. These days, super-expensive SUVs — all of which cost more than a Ferrari — are far from being a passing fad. 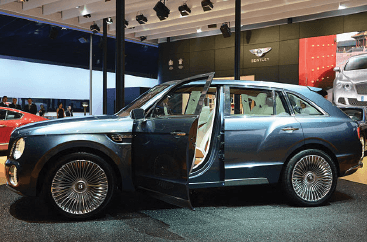 In fact, Rolls’ SUV is late to the game, when you consider that Bentley started touting plans for a US$200,000-plus rig as far back as 2012. The Bentley Bentayga will finally see showrooms in 2016. Similarly priced offerings such as the Lamborghini Urus, Aston Martin DBX, and Maserati Levante are slated for production in 2017, 2018 and beyond. And considering the ravenous appetite American, Asian, and Middle Eastern buyers have had over the past decade for large vehicles in general, it was only a matter of time before the SUV market would push past the US$200,000 ceiling. Once ultra-high-net-worth individuals identify a car they want, they see little distinction between whether they pay US$200,000, US$300,000, or US$400,000. Bloomberg defines ultra-high-net-worth (UHNW) individuals as those who possess net assets of at least US$30 million; there are more than 211,000 of them globally today. “They say ‘I want what I want, and I am going to spend what I want for something unique’,” says Anand. Barring economic catastrophe, that trend will continue. When it comes to extremely priced SUVs, there is plenty of money to be made. The simplest reason is that trucks and SUVs deliver better profit margins than sedans and coupes do. Their size and prestige demand a price premium. 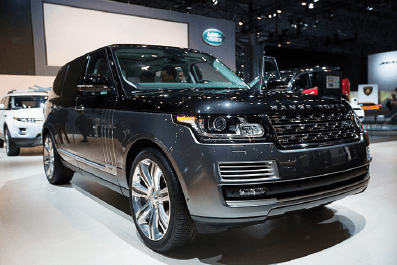 But they also offer a wider range of pricing: You can buy the Range Rover Evoque for US$41,000 or the Range Rover SV Autobiography for US$200,000. By contrast, the span between variants of the BMW 3-Series sedan hovers around US$20,000. Even more significant, the sheer size of SUVs allows more opportunities for upgrades and bespoke treatments on top of their multi-layered variant range. Covering a Bentayga in a rare hue of kid leather and imported cashmere will necessarily cost thousands of dollars more than doing the same for a Continental coupe; it’s a question of size. Think of it as owning a Great Dane vs a Chihuahua: The big dog’s very existence requires a bigger kennel, a bigger collar, a bigger leash and bigger bowls. All of which requires more materials that cost more money — and for automakers, bring more profit. What’s more, the shock of the high price can actually help a brand’s image, especially if it’s trying to reach thought leaders and trend setters. Coltrane Curtis, founder of Team Epiphany, a firm that advises companies such as Nike how to appeal to young, cool creatives, says he expects the new cars from Mercedes and Land Rover to be very popular. Every executive from Rolls, Bentley, Aston Martin, Lamborghini, and the rest of the lot with whom I have spoken about this during the past year has said the same thing. 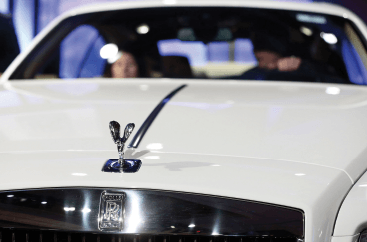 Each pointed to (relatively) stable fuel prices, increasing global wealth (Bloomberg has discovered more than 40 new billionaires in China alone over the past two months), and the simple fact that big vehicles signify top-tier status in most countries.